Avda. 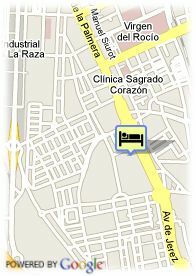 La Palmera, S/n, 41012 Sevilla, Spanien. 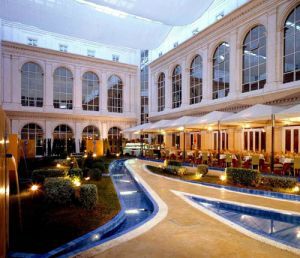 Silken Al-Andalus Palace Hotel is a modern, well-lit establishment with 623 rooms and renewed in 2006. It has good access from the centre of Seville, located among the gardens of Heliopolis district and near Maria Luis Park and its main square (Plaza de España). This Sevillian hotel makes it good for the guest to walk around its more than 15,000 m2garden surface, take a relaxing bath in its unique swimming-pool, rest in its spacious rooms with free connection to the Internet or taste a glass of wine in its piano-bar. Kostenlose überdachte Parkplätze beim Hotel, Bus Parkplätz.